headlines and stories from your favorite publications. The app has a sleek and elegant design, with each section having a main screen with a cover photo at the top, and a row of content along the bottom which the reader can pull up and read. Notifications from Facebook, such as friend requests and messages, is shown at the top right-hand corner of the screen. Users can also use it as a normal, albeit more stylish, Facebook app for posting status updates, sharing photos, commenting or 'liking', making the original Facebook app redundant. 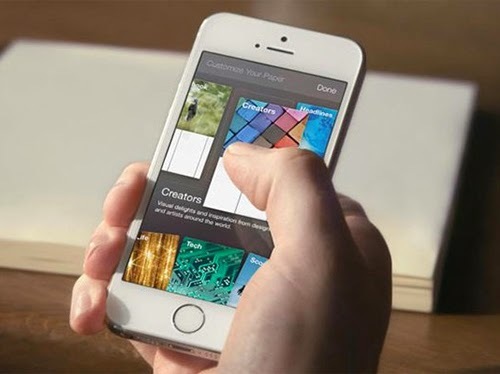 Paper is set to launch in the US on February 3 for iOS users. No word on a worldwide release, or an Android version.